In sum, there is nothing deep or earth-shattering about The Near Witch, but this magical 2011 debut by V.E. Schwab nonetheless managed to exceed all my expectations for it. Her writing was solid even then, deftly creating the timeless atmosphere and weaving in the folktale vibes I loved so much. All in all, a delightful and enjoyable read—like a nice, sweet treat. I wish I had gone for this one! I’m glad I got over my wariness and read it! Debuts are usually iffy, especially when you are going into an author’s backlist, but this was worth it. Thank you for your kind words! 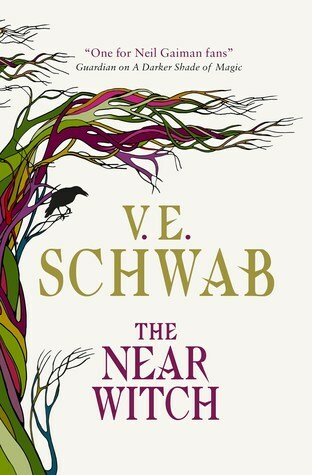 And yes, if you’ve never read Schwab, starting with her debut is actually quite a good idea – I actually like the simple storytelling style of this over some of her later works, which I found too confusing and pretentious, lol. I do love seeing where popular writers started, so I’m anxious to finally get to this. Sometimes simpler is better! Absolutely! I think this is why I preferred this over some of her later books. I liked Lexi a lot more than her later female protags too, lol. Great review, I may have to check this out! I do love an author who can stick the landing with a more folk tale-esque tone. I agree, not everyone can pull it off – I liked that she kept things simple versus going for over-embellishment. Aw, I really need to read Schwab. I love Schwab’s books! I wasn’t as taken with The Near Witch though. But it’s a quick and nice read. I agree, quick and nice is a great description for this! I felt EXACTLY the same about this one! I wasn’t expecting to love it since it’s her debut and she’s said her later writing is better, but I adored it! And gosh The Ash-Born Boy made me emotional! Great review Mogsy! Yes, I was so happy with the inclusion of The Ash-Born Boy! What a heartbreaking read! I wear tearing up by the end of it! What is wrong with me – I still haven’t read Schwab. Maybe I should go and hunt down a copy of this one and start here. This sounds like my type of book. I hadn’t even heard of this one! It’s hard to keep up with Schwab, I feel like there’s always something new coming out. It’s exciting that her debut has been reissued! I’ll have to check this one out. Sounds like this one exceeded expectations for you! It did! I honestly didn’t expect much from a debut. Glad this ended up exceeding your expectations and being enjoyable- that’s a pleasant surprise! Awesome review! Hmm, maybe I’ll give it a try after all! I need to check this one out!!! Great review!